Laser Engraving is now available on all rings, including tungsten and titanium wedding bands, from JewelryVortex with no extra charge. 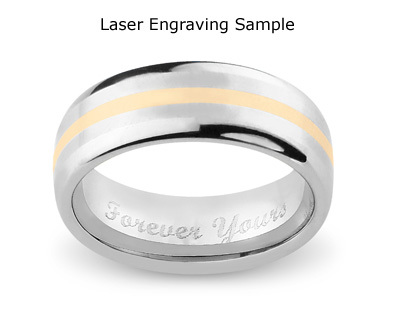 Engrave your wedding bands for a romantic touch. Choose from our traditional script or contemporary block font. No returns or exchanges on engraved items. Maximum 30 characters, including spaces. 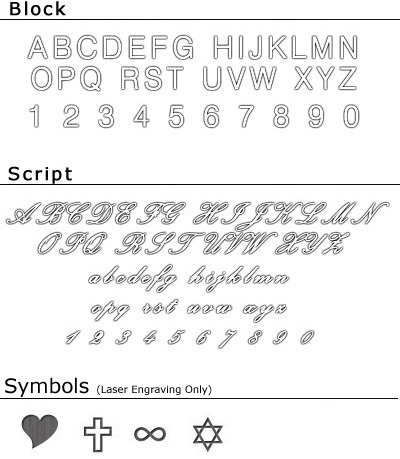 We use the latest computer-guided laser engraving machine to engrave your personal message with perfect precision. Please note that all engraved items are non-returnable and non-refundable.